Does it happen to you also as you move forward in your life (this is a sort of euphemism instead of offending people by saying that you grow older) you change some beliefs? It happens to me quite often, of course it does, even the great earth does not sit for nothing, it revolves around the sun all day long. The big epiphany stroke me during my last sky holiday in Austria. I would like to mention that I am not a fanatic skier. I am a ten days per year skier. And then I limit myself to a couple of down hills per day, sprinkled with a bit of adrenaline and a lot of staring at the beautiful mountain ridges. 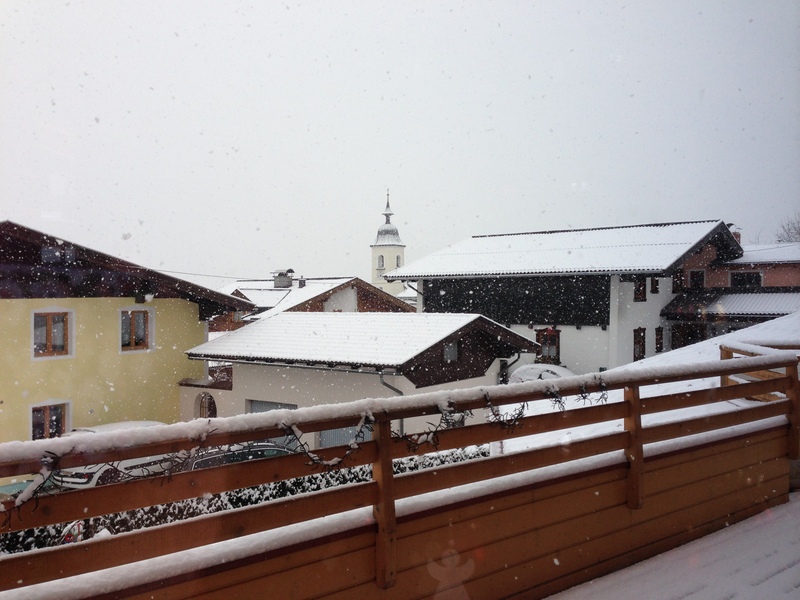 It is the third consecutive year when in Austria we don’t have snow for Christmas. Everything is green as if the snowdrops will bloom soon. Still, the sky industry cannot afford to sit for nothing at the mercy of global warming. A lot of money is being pumped in creating an artificial fairy tale landscape in which snow strips descend into the valley from the top of the mountain like a kindergarten child drew them with a paint brush. You don’t do this, auf wiedersehen tourists in the next season. Because since we multiplied like rabbits and forgot to die from a plague or simply from old age, it is a big fight on resources and everybody book his sky holiday since summer. Nobody waits for the first snow to fall cause you are left without accommodation. I remember when I was a young skier in Romania. If there was enough snow, we skied, if not, we were having parties in the pension or we stayed in Bucharest. As it says, we lived in harmony with nature. We got what nature gave. In this way, somehow life had more depth and more beauty. The same with food. How delicious was the first spring salad made from fresh radish, green onions and fresh garlic! After a long winter full of pickles, potatoes and jams, with the crocus and the first leaves, my stomach got some raw food and enjoy it like a child. Nowadays we have all year long vegetables and fruits with taste made in laboratory by some ancient people like me that tasted real food when they were young. Since this epiphany stroke me, I make sure I mostly buy products according to the natural rhythm of nature. Ok, sometimes I reach out for some delicatessen grew in a greenhouse or wherever they come from cause I dislike extreme behaviour. But let’s come back to the sky topic. You have already understood that I would prefer to burn at the stake all the machines that produce artificial snow and sky only when the heaven wants us to. Maybe in this way I can get rid of the feeling of quantity and would receive in return some quality. While I write about snow, my thoughts run to some effects of prosperity related to seaside visits. In the old times I associated the sea with the summer. Either in the car or in the train, I was so much longing to have a glimpse of the sea after passing Constanța. I will never forget the profound joy when my eyes were suddenly struck by the first waves. This deep feeling was possible because: 1) the rest of the year, nobody afforded to fly towards warm countries besides the cranes, 2) we did not visit the Black See so often as today simply because we did not have enough money. Do I suffer from acute idealization of the past? Certainly I do. But more than that, I wish we can live again in harmony with nature, even this nature already destroyed by us, the greedy ones, in which during the summer you build a sledge and during the winter you apply creams against sun burn. As I write these words, outside my window started to snow with big snowflakes that melt in the palm of your hand or in the open mouth of a thirsty child. And what do you think? I don’t have an appetite for skiing or for sledge because I did all of this already the other days on artificial snow. The snow produced with a financial effort to make the customers happy, customers that paid a lot of money to be here. Among them, full of new beliefs, I find myself also. Blog la WordPress.com. Tema: Tortuga de ThemeZee.